DaylilyDeciduous grassy shrub. Fast growth with a clumping habit. Deep yellow flowers on stalks from..
DaylilyDeciduous grassy shrub. Fast clumping growth. Green bladed grass-like foliage. Creamy yellow ..
DaylilyDeciduous grassy shrub. Fast clumping growth. Green grass-like bladed foliage. Yellowish oran..
DaylilyDeciduous grassy shrub. Fast clumping growth. Grassy green blade-like foliage. Dark red flowe..
DaylilyDeciduous grassy shrub. Fast clumping growth. Grassy green blade-like foliage. Bright red flo..
DaylilyDeciduous grassy shrub. Fast clumping growth. Green grass-like bladed foliage. Rose petalled ..
DaylilyDeciduous grassy shrub. Moderate growth rate. Dwarf clumps of arching, medium-green foliage. ..
DaylilyDeciduous grassy shrub. Fast growing. Forms clumps of arching, medium-green foliage. Very lar..
DaylilyDeciduous grassy shrub. Fast clumping growth. Grassy green blade-like foliage. Rich yellow fl..
DaylilyDeciduous grassy shrub. Fast clumping growth. Grassy green blade-like foliage. Reddish purple..
DaylilyDeciduous grassy shrub. Fast clumping growth. Green grass-like bladed foliage. Bright red flo..
DaylilyDeciduous grassy shrub. Fast clumping growth. Green grass-like bladed foliage. Banana yellow ..
DaylilyEvergreen grassy shrub. Fast clumping growth. Grassy green blade-like foliage. 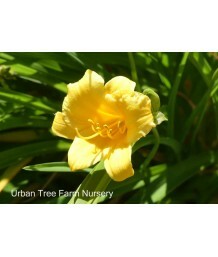 Light yellow f..
DaylilyDeciduous grassy shrub. Fast clumping growth. Green grass-like bladed foliage. Dark purple/sc..
DaylilyDeciduous grassy shrub. Fast clumping growth. Grassy green blade-like foliage. Deep orange fl..
DaylilyDeciduous grassy shrub. Fast clumping growth. Grassy green blade-like foliage. Peachy pink ru..
DaylilyDeciduous grassy shrub. Fast clumping growth. Grassy green blade-like foliage. Dark purple fl..
DaylilyEvergreen grassy shrub. Fast clumping growth. Grassy green blade-like foliage. Bright fire re..
DaylilyDeciduous grassy shrub. Fast clumping growth. Green grass-like bladed foliage. Purplish/mauve..
DaylilyDeciduous grassy shrub. Fast growing. Forms clumps of arching medium-green foliage. Abundance..
DaylilyDeciduous grassy shrub. Fast clumping growth. Grassy green blade-like foliage. 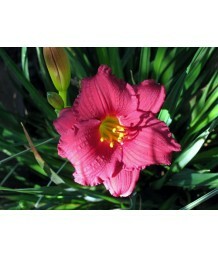 Bright pinkish..
DaylilyDeciduous grassy shrub. Fast clumping growth. Grassy green blade-like foliage. Orange-yellow ..
DaylilyDeciduous grassy shrub. Fast clumping growth. Grassy green blade-like foliage. White ruffled ..
DaylilyEvergreen grassy shrub. Fast clumping growth. Grassy green blade-like foliage. Yellow ruffled..
DaylilyDeciduous grassy shrub. Fast clumping growth. Grassy green blade-like foliage. Vibrant yellow..
Rose of SharonDeciduous shrub. Pruned into a single trunk tree. Green foliage contrasts with large, ..
Rose of SharonDeciduous shrub. Moderate growth rate with upright oval shape. Medium-green lobed leav..
Rose of SharonDeciduous shrub. Pruned into a single trunk tree. Moderate growth rate with upright ov..
Rose of SharonDeciduous shrub. Green foliage contrasts with large, showy double lilac-purple flowers..
Rose of SharonDeciduous shrub. Green foliage contrasts with large, showy true blue flowers. 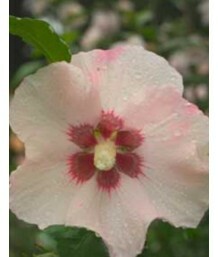 Tall, st..
Rose of SharonDeciduous shrub. Green foliage contrasts with large, showy double bluish-purple ruffle..
Rose of SharonDeciduous shrub. Green foliage contrasts with large, showy magenta/lavender flowers. T..
Rose of SharonDeciduous shrub. Green foliage contrasts with large, showy double bright white flowers..
Rose of SharonDeciduous shrub. Green foliage contrasts with large, showy semi-double pink and white ..
Rose of SharonDeciduous shrub. 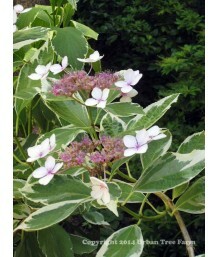 Green foliage contrasts with large, showy white edged with purple cen..
Rose of SharonDeciduous shrub. Leathery, dark green leaves and a dense, compact growth habit. Lavend..
Rose of SharonDeciduous shrub. 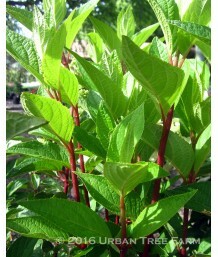 Green foliage contrasts with large, showy double bi-colored red and p..
Rose of SharonDeciduous shrub. 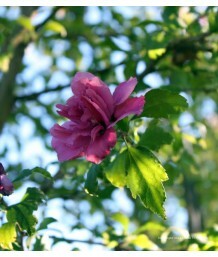 Green foliage contrasts with large, showy semi-double pink and purple..
Rose of SharonDeciduous shrub. Green foliage contrasts with large, showy double raspberry colored bl..
Sea FoamDeciduous shrub. 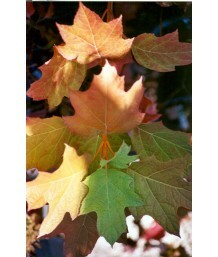 Triangular leaves are deep green above and hairy white below. White flower .. Smooth HydrangeaDeciduous shrub. Pure white flowers, much larger than the species- up to 12 inches a.. Smooth HydrangeaDeciduous shrub. Balls of hot pink (or blue, if treated) flowers at the ends of the .. Smooth HydrangeaDeciduous shrub. Dark green serrate leaves with pale green undersides contrast with .. Smooth HydrangeaDeciduous shrub. Compact, rounded habit. Large, lush, deep green foliage. Sprays of .. Smooth HydrangeaDeciduous shrub. Rounded habit. Large, greenish-white, ball shaped flowers appear in.. Smooth HydrangeaDeciduous shrub. Compact, rounded habit. 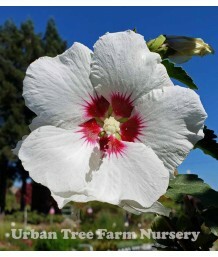 Large, pure white flowers appear in late sp.. Smooth HydrangeaDeciduous shrub. Moderate growth. Creamy, six-inch flower heads form flattened spher.. Smooth HydrangeaDeciduous shrub. Fast growing with rounded form. Very large medium-green rounded lea..
Bigleaf/Garden HydrangeaDeciduous shrub. Symmetrical, rounded habit. Thick, shiny, coarsely toothed ..
Bigleaf/Garden HydrangeaDeciduous shrub. Prolific flowering shrub bears large, ball-shaped flower cl..
Bigleaf/Garden HydrangeaDeciduous shrub. Fast growing with a rounded form. Very large medium-green r..
Bigleaf/Garden HydrangeaDeciduous shrub. Fast growing with rounded form. Very large medium-green rou..
Bigleaf/Garden HydrangeaDeciduous shrub. Pink flowers (or blue if treated) in summer and fall. Green..
Bigleaf/Garden HydrangeaDeciduous shrub. 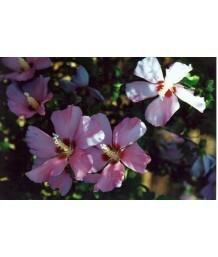 A small plant with showy magenta and white summer flowers. ..
Bigleaf/Garden HydrangeaDeciduous shrub. 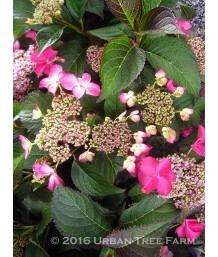 Intense pink-red summer flowers are long lasting and change..
Bigleaf/Garden HydrangeaDeciduous shrub. 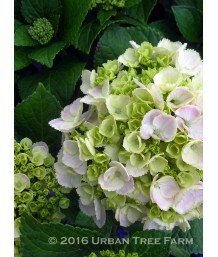 This compact early-blooming Hydrangea has one of the best b..
Bigleaf/Garden HydrangeaDeciduous shrub. 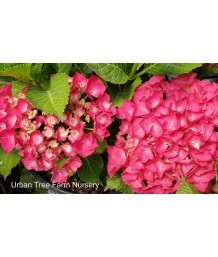 Large hot pink summer flowers mature to an attractive green..
Bigleaf/Garden HydrangeaDeciduous shrub. 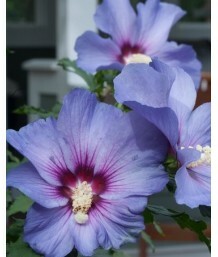 Large pink or blue summer flowers. The glossy green foliage..
Bigleaf/Garden HydrangeaDeciduous shrub. 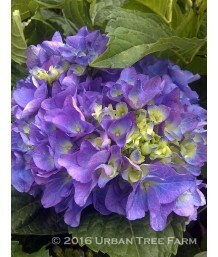 Color range depending on PH will be from a deep blue to mau..
Bigleaf/Garden HydrangeaDeciduous shrub. 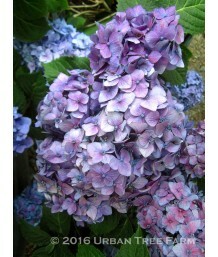 Color range depending on PH will be from a soft blue to ros..
Bigleaf/Garden HydrangeaDeciduous shrub. The first repeat blooming mophead Hydrangea. Remove spent f..
Bigleaf/Garden HydrangeaDeciduous shrub. 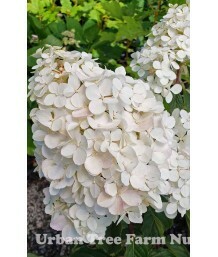 Pure white semi-double florets maturing to blush pink or bl..
Bigleaf/Garden HydrangeaDeciduous shrub. Flowers on old wood and new. Outer blooms turn pink or peri..
Gentian Dome/Bigleaf HydrangeaDeciduous shrub. Serrate, dark green leaves and large clusters of long..
Bigleaf/Garden HydrangeaDeciduous shrub. Fast growing with compact rounded form. 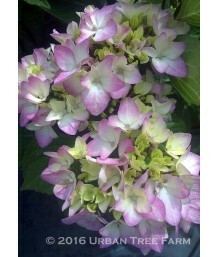 Very large medium-g..
Bigleaf/Garden HydrangeaDeciduous shrub. Fast growing with rounded form. Medium-green rounded leaves..
Bigleaf/Garden HydrangeaDeciduous shrub. Compact, double-flowered, lace-cap cultivar with large, dar..
Bigleaf/Garden HydrangeaDeciduous shrub. Silvery tones of pink or blue. Foliage is slender and more ..
Bigleaf/Garden HydrangeaDeciduous shrub. Lace cap flowers blue or pink depending on soil pH. Regular..
Bigleaf/Garden HydrangeaDeciduous shrub. Lace cap flowers bloom white. Full green pointed leaves. Re..
Bigleaf/Garden HydrangeaDeciduous shrub. 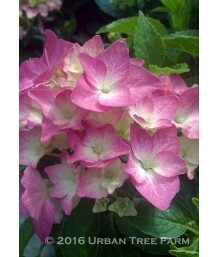 This compact re-blooming Hydrangea has bright pink flowers ..
Bigleaf/Garden HydrangeaDeciduous shrub. This compact re-blooming Hydrangea has one of the best dark..
Bigleaf/Garden HydrangeaDeciduous shrub. Spectacular lace-cap flower heads. Blossoms tend to be blue..
Bigleaf/Garden HydrangeaDeciduous shrub. Rounded habit with serrate, dark green leaves and large clu..
Bigleaf/Garden HydrangeaDeciduous shrubs. An excellent Hydrangea for its rose to blue flower heads, ..
Bigleaf/Garden HydrangeaDeciduous shrub. Serrate, dark green leaves and large clusters of long-bloom..
Bigleaf/Garden HydrangeaDeciduous shrub. Rich pink flowers. Regular water needs in well-drained soil..
Bigleaf/Garden HydrangeaDeciduous shrub. From late spring or early summer through fall bloom heads f..
Bigleaf/Garden HydrangeaDeciduous shrub. Compact growth habit. Richly colored flowers are produced i..
Bigleaf/Garden HydrangeaDeciduous shrub. Fast growing with compact, rounded form. Very large medium-..
Bigleaf/Garden HydrangeaDeciduous shrub. Gorgeous deep pink, double blooms dominate this compact, ea..
Bigleaf/Garden HydrangeaDeciduous shrub. Lace cap flattened flowerheads that are pure white, double,..
Bigleaf/Garden HydrangeaDeciduous shrub. 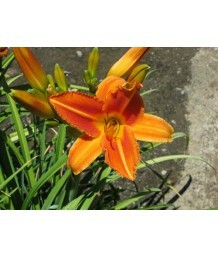 This is a smallish lace-cap with white florets that turn a .. Compact Paniculata HydrangeaDeciduous shrub. Dwarf habit. 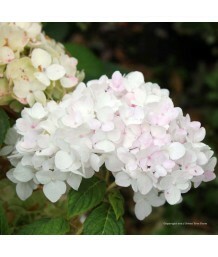 Creamy white flowers maturing with hints o..
Peegee HydrangeaDeciduous shrub. White flowers maturing to a rosy pink. In full bloom, the weight of.. Compact Panicle HydrangeaDeciduous shrub. 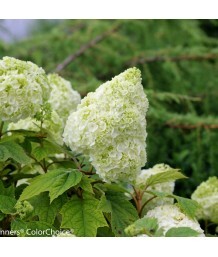 Showy, closely packed, greenish-white flowers bloom in lat..
Peegee HydrangeaDeciduous shrub. A compact, early blooming, heat tolerant selection with attractive ..
Paniculata HydrangeaDeciduous shrub. Dark green, deeply veined leaves. 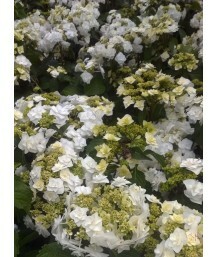 Huge full blooms emerge cream..
Peegee HydrangeaDeciduous shrub. Showy, closely packed, creamy white, sterile flowers bloom in late ..
Peegee HydrangeaDeciduous shrub. Pruned into a single trunk tree. Showy, closely packed, creamy whit..
Peegee HydrangeaDeciduous shrub. 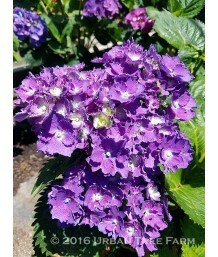 An exciting hardy Hydrangea from Holland, Limelight has unique char..
Peegee HydrangeaDeciduous shrub. Pruned into a single trunk tree. 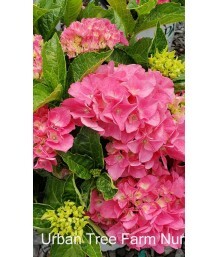 An exciting hardy Hydrangea from H.. Compact Peegee HydrangeaDeciduous shrub. Dwarf version of the larger Limelight variety. Unique cream..
Paniculata HydrangeaDeciduous shrub. Dwarf habit. Oval to ovate, serrate, medium green leaves. Small..
Paniculata HydrangeaDeciduous shrub. Oval to ovate, serrate, medium green leaves. Especially large w..
Peegee HydrangeaDeciduous shrub. 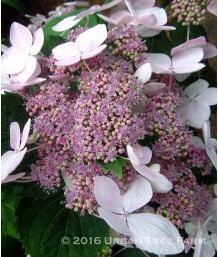 Pink buds open to become white flowers with pink centers on this Pi..
Peegee HydrangeaDeciduous shrub. Pruned into a single trunk tree. Pink buds open to become white flo..
Peegee HydrangeaDeciduous shrub. 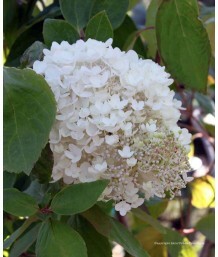 Showy, closely packed, white flowers bloom in late summer, slowly a..
Peegee HydrangeaDeciduous shrub. Pruned into a single trunk tree. 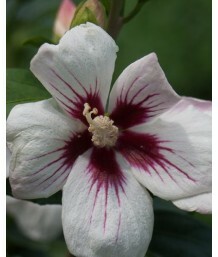 Showy, closely packed, white flowe.. Compact Paniculata HydrangeaDeciduous shrub. Oval to ovate, serrate, medium green leaves. Especially..
Peegee HydrangeaDeciduous shrub. Pruned into a single trunk tree. Late season flowers extend garden ..
Peegee HydrangeaDeciduous shrub. The blooms on Vanilla Strawberry hydrangea are the true stunner: Bu..
Paniculata HydrangeaDeciduous shrub. Compact habit. Deep green, elongated, deeply veined leaves. Gli.. 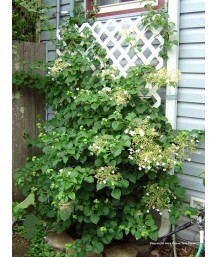 Climbing HydrangeaDeciduous climbing vine. Trained to grow along a stake in the center of the contai.. Climbing HydrangeaDeciduous climbing vine. Already trained to grow on a trellis. Vigorous, climbing ..
Oakleaf HydrangeaDeciduous shrub. Fast growing with broadly-rounded form. Very large medium-green le..
Oak Leaf HydrangeaDeciduous shrub. Large clusters of white flowers are held upright above the dark g..
Oak Leaf HydrangeaDeciduous shrub. Large, dense panicles of white double-floret flowers are held upr..
Oak Leaf HydrangeaDeciduous shrub. Large, open panicles of pearl white flowers are held upright abov..
Oak Leaf HydrangeaDeciduous shrub. 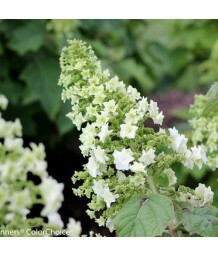 Large, dense panicles of creamy-white flowers with star-shaped fl..
Oak Leaf HydrangeaDeciduous shrub. 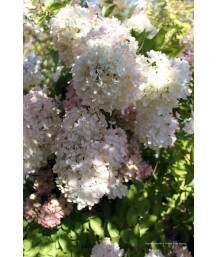 Large, open clusters of creamy-white flowers are held upright abo.. Dwarf Oakleaf HydrangeaDeciduous shrub. A dwarf, four-season shrub perfect for smaller gardens. Pee-..
Oakleaf HydrangeaDeciduous shrub. Cone-shaped flowers emerge white and turn pink as they mature. 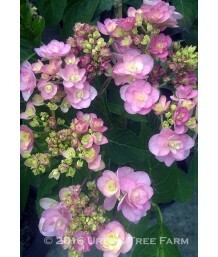 Han..
Oakleaf HydrangeaDeciduous shrub. Large clusters of white flowers are held upright above the dark gr..
Oakleaf HydrangeaDeciduous shrub. Large, dense 6 to 8 inch long clusters of white flowers are held u..
Bigleaf/Garden HydrangeaDeciduous shrub. The lace cap flower heads have outer sterile flowers colore..
HydrangeaDeciduous shrub. 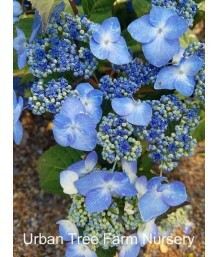 Spectacular lace-cap bloom has a ring of sea-blue sterile florets surround..
HydrangeaDeciduous shrub. 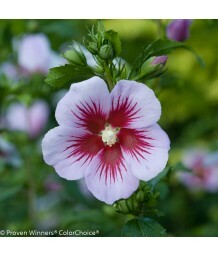 A lovely summer-flowering variety for the shrub or mixed border. In genera..
Lace Cap Hydrangea/Mountain HydrangeaDeciduous shrub. Compact, mounding habit. 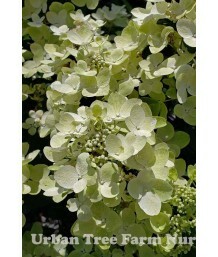 Green leaves set flow..
Lace Cap HydrangeaDeciduous shrub. Serrate green leaves with deep veins. Lacy pink or blue flowers d..
St. JohnswortDeciduous shrub. Compact mounding habit with oblong light green leaves on willowy stems..